234 pages | 26 B/W Illus. 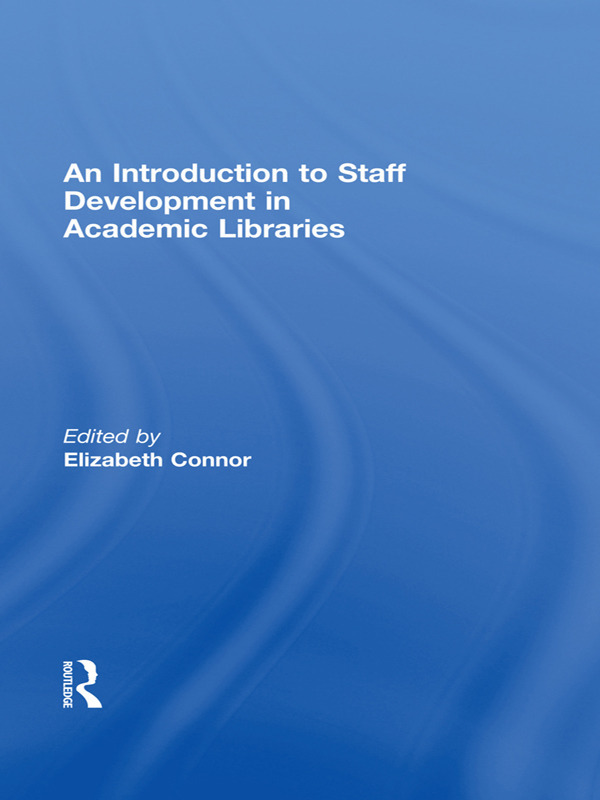 An indispensable resource for librarians of all roles, the case studies in An Introduction to Staff Development in Academic Libraries demonstrate the necessity and value of integrating the library's mission statement and strategic plan with bold approaches to staff orientation, training, mentoring, and development. Elizabeth Connor is Associate Professor of Library Science and Science Liaison at the Daniel Library of The Citadel, the Military College of South Carolina. She is a distinguished member of the Academy of Health Information Professionals (AHIP), serves as the book review editor of Medical Reference Services Quarterly, and coedits the Journal of Electronic Resources in Medical Libraries. Recent publications include An Introduction to Instructional Services in Academic Libraries; An Introduction to References Services in Academic Libraries; Evidence-Based Librarianship: Case Studies and Active Learning Exercises; A Guide to Developing End User Education Programs in Medical Libraries; and Planning, Renovating, Expanding, and Constructing Library Facilities in Hospitals, Academic Medical Centers, and Health Organizations.